Sony A7s - how to expose - cine or log? Quadro vs GTX Graphics Cards, Consumer or Pro? I happened upon these little lights and out of curiosity ordered a couple. There are a number of small battery powered LED lights out there now, at a variety of price points. My go to light is an Area 48, which is stunning light in terms of quality, flexibility and, sadly, cost. I also have a small LED panel from Aladdin as well as a bi-flex lite panel, both of which i really rate. With the ability to become more and more portable on the camera side of things, it’s wonderful to see the numbers of lighting options increase too. I can fit a full 4K recording package, with lenses into a backpack. 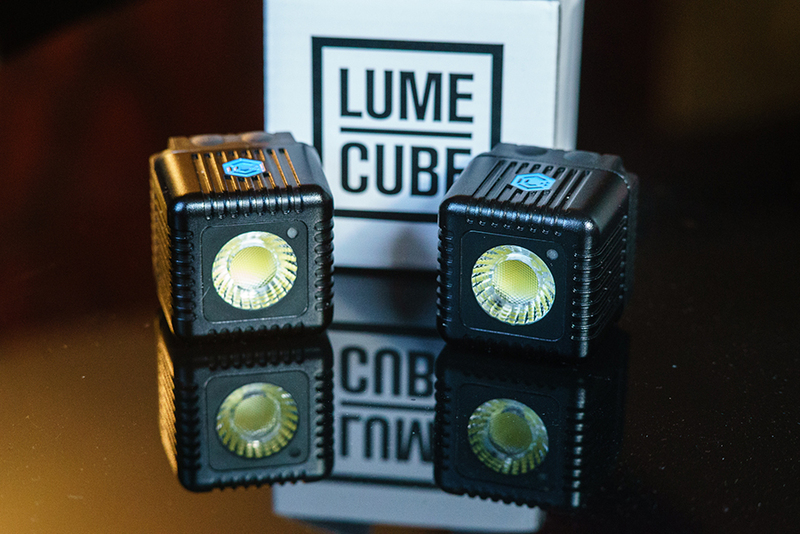 These $79 Lume Cubes were originally a kickstarter project and now available direct from the manufacturers. They’re battery powered, water proof, small, light and a fairly powerful source. They are rated at 1500 Lumens and yield 150 lux at 3m, which isn’t that bad for something this size (although i’ve not been able to verify these claims). They are daylight only (around 6000K) and have a fixed lens which is quite wide. They support bluetooth and a number of them can be slaved together and controlled as one via an iOS or Android app. They do also support flash triggering but we’re all video based, so that doesn’t interest us right? Charging is via USB and there’s a small panel that unscrews at the back to reveal the socket, it is done this way so the connection is waterproof. Once charged I saw around 50 mins at full power. There are 10 brightness settings as well, one of the buttons on top cycles between them - you get to play the dirty harry game though because there’s no feedback which setting you have - have i pressed 9 times or 10? - as it will cycle around to the lowest setting when you think you’ve got one more to go for full. In operation the whole cube acts as a heatsink so they’ll get very, very hot to touch. I mentioned above, a single lens. This is clearly designed specially for the LED emitter inside (it looks to be a COB design) and produces a wide and soft beam. There’s no obviously visible colouring or patterning in the beam which is good. However it would be really nice if we could interchange lenses or order cubes with different ones on - a tighter beam would be really useful. There is a light sensor on the front which can be triggered by a flash, acting as a slave unit. This isn’t something i’ve really tested or looked at but i can imagine some great off camera flash set ups. Under the cube is a thread with a standard screw fitting, so you can use those little bendy mini tripods to attach them practically anywhere. Even though they’re solid and metal, they’re quite light too. Pun not intended. My real concern was really whether the quality of light is any good. LEDs have had a bad rep in the past - they may provide the colour temperature specified but parts of their spectrum can be spiky (too much green is common) or missing. If you illuminate a scene with light that is missing parts of the spectrum then the colour reproduction will never really work. Your eyes are great at compensating but cameras less so. To test this what i generally do is take a colourful scene or macbeth chart and shoot RAW stills (so the white balance isn’t baked in). I’d compare side by side with real daylight and other lights and eyeball the results. I usually won’t do this with video, because the workflows can introduce colour issues - instead the RAW stills workflow is very simple and well defined. Less chance for user error. Ideally i would like a better colour chart but have to make do with what i have. First time i will auto white balance the results, so i can determine what the lights temperature really is. I would concentrate on white balancing the 18% grey chip. I’ve included a side by side of various lights i looked at together. The Lume Cube reports a temperature of 5900K which is close to 6K, close enough that my test setup could be creating the difference. This auto white balance also includes adjustments to the tint, to balance any issues with green and magenta. If you’re shooting a scene with multiple light sources then you won’t be able to balance this out because the lights in the scene as a whole would have differing requirements - you would need to filter the lights themselves. So the next test is to take the same RAW stills and manually set the temperature and unify the tint and be able to compare side by side with other lights - looking for a green bias or other colour issues. So with the manual white balance we can see that the overall results are pretty good. By comparison to the iPhone which shows some pretty awful tint issues but these little cubes hold their own very well. Certainly good enough to use in mixed lighting setups without fear. Note that the WB was set to 6000, so lights at lower temperatures would be noticeably warmer, as expected. I threw in a LedLenser torch as well, out of curiosity and was quite surprised at how good the results from that were as well. So don’t dismiss some of these modern LED torches - they focus as well. So all in all these are actually complete bargains. $79 for a 1500 lumen portable battery powered light is very good value for money. 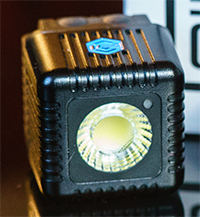 I would love to see LumeCube expand their products - different temperatures and lenses. But for a portable mini light you can just slip them into any backpack they’re really quite awesome. Just be careful about heat.